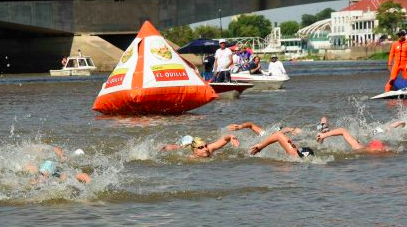 The FINA UltraMarathon Swim Series kicked off to great local fanfare - and made history when two of Argentina's most renowned open water swimmers swept the awards podium. 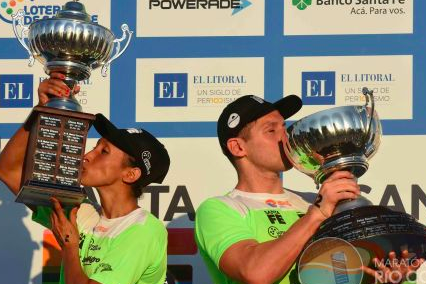 2017 FINA Open Water Swimming Grand Prix circuit champion Guillermo Bértola and four-time Olympian Cecilia Biagioli won the 57 km FINA UltraMarathon Swim Series yesterday from in Coronda to Santa Fe in Argentina. Bértola finished in 7 hours 32 minutes 9 seconds, relatively comfortably over Italians Edoardo Stochino (7 hours 34 minutes 33 seconds) and Simone Ercoli (7 hours 34 minutes 36 seconds). The oldest woman in the race and the only mother, fellow Argentine Biagioli finished second overall in 7 hours 33 minutes 47 seconds. Italy’s Barbara Pozzobón finished second in 7 hours 42 minutes and Alice Franco finished third in 7 hours 44 minutes. 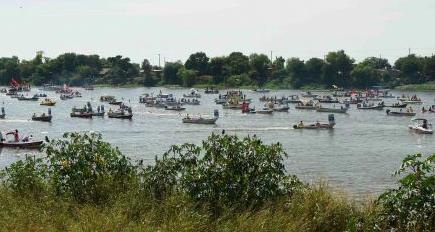 Under a bright sun and unusually favorable conditions of the river, the 26-swimmer pack began at 10 am from the East Coast of Santa Fe. Biagioli led the pack with Guillermo Bértola, Evgenji Pop Acev, Simone Ercoli, Edoardo Stochino and Barbara Pozzobón following closely behind. Ultimately, Bértola passed Biagioli, but the arrival of the two Argentines in first and second overall created an emotional final for the multitudes of fans. It was Bértola's first career win after five races in the river. He waited until his fellow Cordovan to cross so they celebrated together with the roaring crowd at the end of the 57 km Maratón Acuática Internacional Santa Fe - Coronda.